We at Montery Auto & Tires, LLC are dedicated to offering honest and exceptional service to all our customers at reasonable rates. Locally owned at operated in Martin County for over 5 years, this family run business offers full mechanical services along with audio installations, headliners, tinting, plus we have a full detail center on site for all your automotive needs in one convenient location. Stop in today or click on the picture below to complete your application. 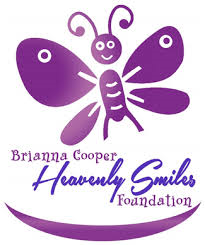 MONTEREY AUTO & TIRES, LLC IS A PROUD SUPPORTER OF THE BRIANNA COOPER HEAVENLY SMILES FOUNDATION. FOR MORE INFORMATION ON THIS AMAZING FOUNDATION.